Black Friday – Cyber Monday Sale Is On! UPDATE: See details on our 2011 Black Friday and Cyber Monday Sale here. 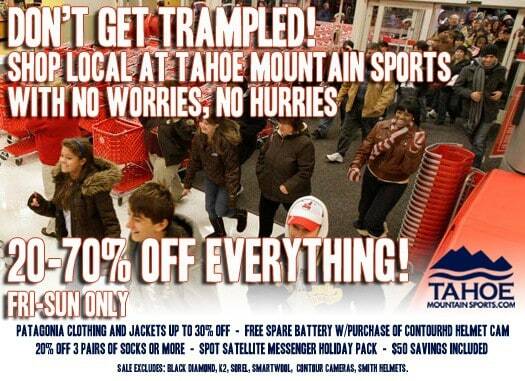 Don’t get trampled this holiday season! 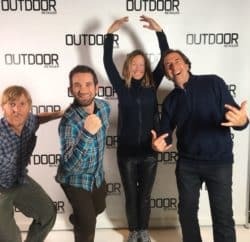 Shop at Tahoe Mountain Sports, where you’ll find personalized customer service and great deals this Black Friday weekend and through the holidays. No stampedes, no wandering Big Box aisles – just simple, easy shopping, with something for everyone on your list. Highlighting the sale is 30 percent off more than 30 Patagonia styles, including the famous Patagonia Down Sweater and Nano Puff jackets. You can save up to $114, so go ahead and get that Patagonia apparel you and your love ones have always coveted. Additional sales kick off Black Friday weekend, so hurry to score these great deals while supplies last. For every ContourHD helmet camera purchased, you’ll get a free spare battery, a $30 value! Buy any 3 pairs of socks, from brands like Wigwam, Icebreaker and SmartWool, and get 20 percent off. And every SPOT Satellite GPS Messenger comes with an added adventure kit, a $50 value that includes an LED flashlight, flotation case, whistle, service discount and more. Don’t miss this opportunity to pick up stocking stuffers and gifts for the outdoors-lovers in your life! Traveling? Working all weekend? Have non-local friends/family that could take a hint on what you’re wishing for this holiday? Our online savings start on Thanksgiving Day and extend through Monday, Nov. 29! 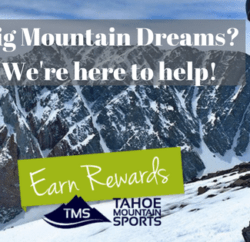 Check in online at TahoeMountainSports.com for the most current inventory and promotional pricing. We can take your order 24/7, and we ship to more than 100 countries, so you can do your holiday shopping on your own time.